By now you should have a pretty good grip on the different forms of photography lighting equipment. We've discussed several types of lamps for studios and today we'll wrap up with HMI lights. HMI stands for Hydrargyrum Medium-Arc Iodide. The H is better known as Mercury and the I is a halogen used in the lamp. HMI lighting is more predominately seen in the motion film industry as opposed to photography. One reason being that they are rather large and expensive, but they serve their purpose well. HMI lighting offers consistent color temperature, are flicker-free, cooler than other lighting, and produce a high quantity of light. The color temperature will remain consistent up to about 500 hours of use before you begin to notice more green in the light. HMI lights are not actually considered a “cool” light, but they typically run cooler than tungsten lighting. 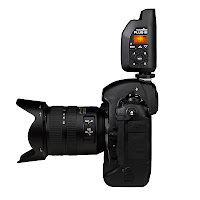 When used in studio photography, most choose it for portraits and stills. They offer many of the same advantages as tungsten lighting, but because they run a bit cooler, they are easier to use with softboxes, scrims, and other light modifiers. Despite the higher price tag, HMI lights remain a popular choice among film makers and photographers. Last week we began a discussion about ways to best utilize your external flash. Let's continue talking about making the most out of this valuable piece of photography lighting equipment. The previous post centered around bouncing and reflecting light. What if you need the light to be more directional, you need more control? Then you must diffuse it. A diffuser attached to the flash is required. It's basically a translucent piece of plastic that attaches to the flash tube, creating a much softer light on the subject. Some flashes might come with a diffuser panel built-in or come with one to snap on. If not, no worries. There are plenty of diffusers on SuperDigitalCity.com. Sometimes you don't need any extra accessories; just manipulate the settings on the camera or flash. You can reduce the amount of light from the flash by lowering the flash exposure compensation, or dial it up a bit if you need more –depending on what you are photographing. Take advantage of the flash's power output while still utilizing the flash's automatic metering. Lastly, take your external flash off the camera for a change. There is only so much you can do with it in the same position atop your camera. Check if the flash is wireless first, otherwise you will need an off-camera hot-shoe cord. (Wireless will give you a greater range, naturally.) Experiment moving the flash around to see how it affects your photographs. 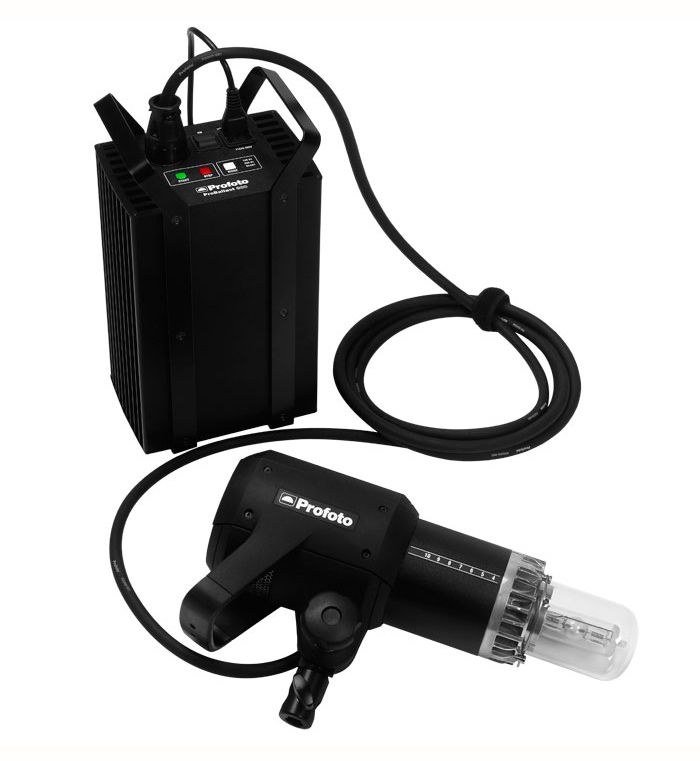 Quite some time ago we talked about the basics of an external flash, also known as a speedlite. Essentially, professional photographers will take much better shots with an external rather than relying on the camera's internal flash. But how can you get the most of your external? There are quite a number of tips and tricks –some we'll go over today and the rest we'll continue next week. The first tip is to bounce the light from the external flash. This is great for indoor shots because it can enhance your photos. Angle the flash towards the ceiling, which essentially gives you a large light-colored surface to reflect off of –meaning you have a large softbox without an actual softbox. Try rotating it to bounce light off the wall as well or angle it into a corner. All these methods will create a softer lighting scheme. Okay what about situations where the ceilings are too high or if you're outdoors? In these scenarios, you need to reflect light in order to soften it. Some external flashes come with a white card that extends from the top. The purpose? When the flash is pivoted correctly, it will create a surface for the light to bounce off of toward the subject. If yours does not come with a card, look for accessories to attach to your flash that create a surface. 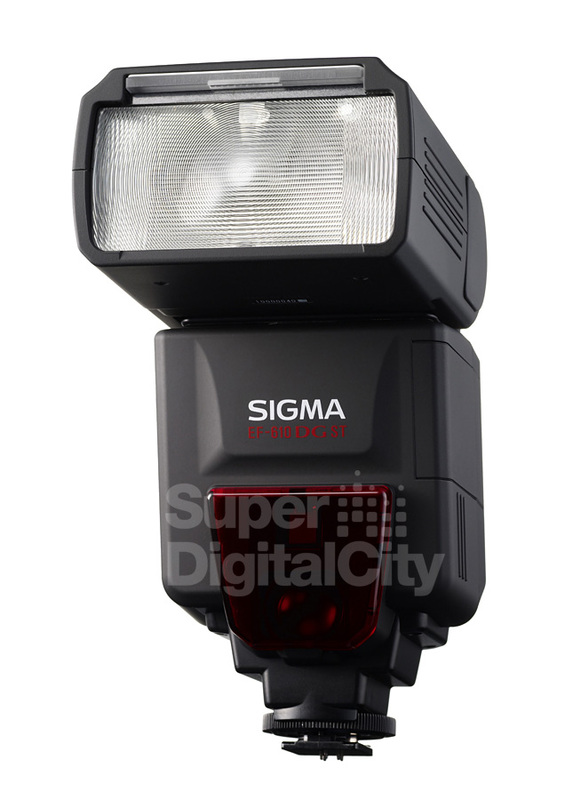 Check back next week for other great photography lighting equipment tips! For anyone who knows the beauty and ease of the PocketWizard I and II Transceiver, get ready to be blown away by the latest edition in the series. 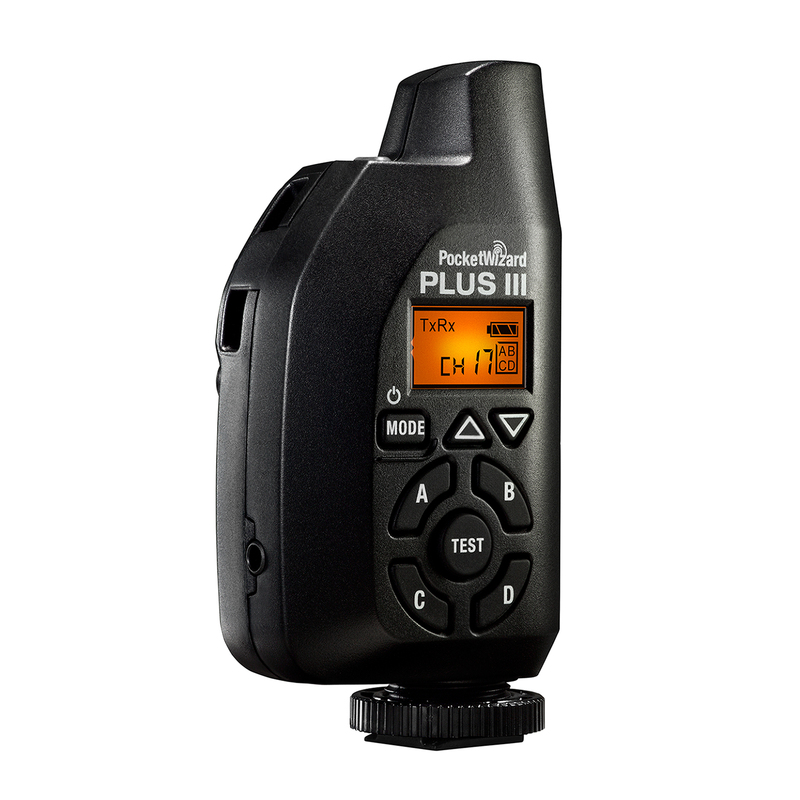 The Plus III is intuitive and easy-to-use as both a remote flash and camera trigger. The receiver features 32 channels and selective Quad-Zone triggering –allowing you to trigger the flash and/or groups of cameras. The design is sleek and is a side-view design, meaning you don't have to worry about the trigger obstructing your view. The antenna is inside the case for increased durability. Need the device to work at a great distance? Under good conditions, it has a range of 500 meters, or 1600 feet. But because we know conditions aren't always perfect, there are two range extending modes to help out. The Plus III also boasts a high speed receive rate. Normally the Plus III can trigger lights or cameras at 12 FPS, but in High Speed Receive Mode enjoy 14.5 FPS. Connecting to your camera is a breeze. The Plus III slides nicely into the hot shoe, no cables needed. There is a sync port for the remotes and if you have a miniphone connector, the Plus III is compatible with a miniphone-to-miniphone cable. 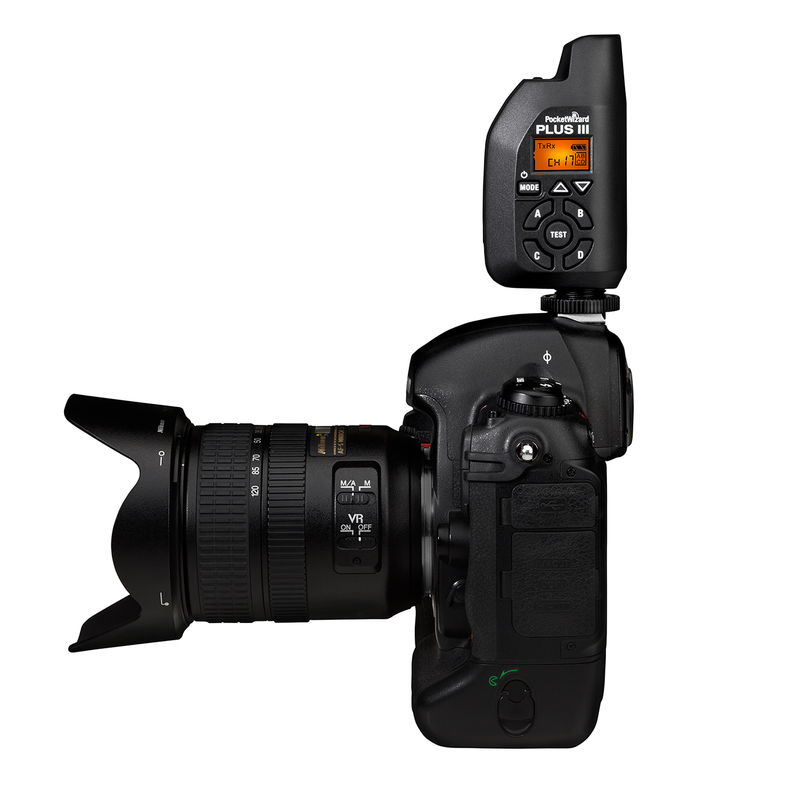 Look for the PocketWizard Plus III at SuperDigitalCity.com (which is currently available for pre-order with free ground shipping), along with photography lighting equipment, wireless transmitters, and much, much more. Introducing the Lensbaby Creative Portrait Kit! SDC Photo is now an authorized Atomos partner! Introducing the latest from MeFOTO! Introducing the newest lenses from SIGMA! Copyright © 2011 superdigitalcity.com, All Rights Reserved.